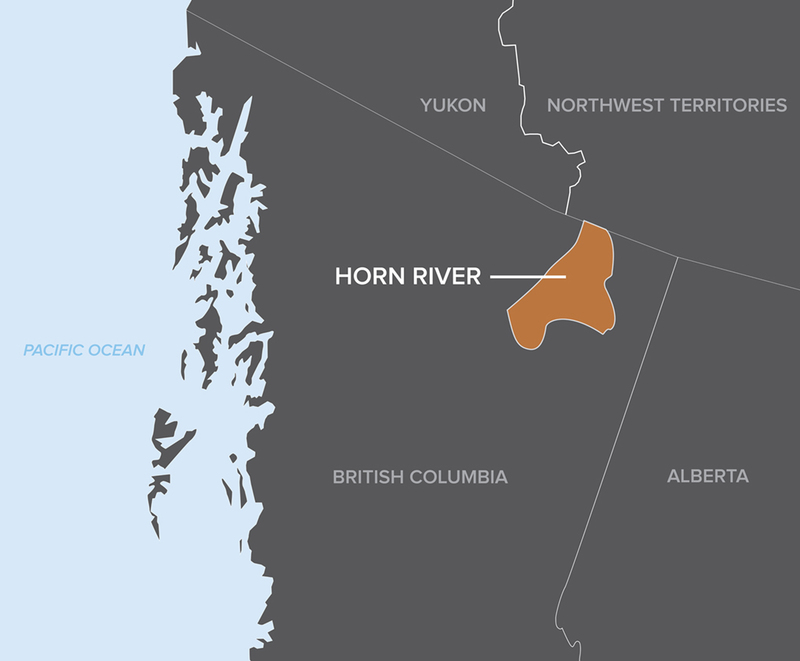 The Horn River Basin in northeast B.C. is a low permeability shale gas play with gas-in-place estimates ranging from 100 to 600 Tcf. As with other shale gas plays in Canada and the U.S., production from the Horn River Basin is now possible with the advent of horizontal drilling and hydraulic fracturing; however, due to its remote location, the Horn River faces additional challenges and costs. Additionally, stimulation plans in this play are very aggressive, requiring downhole equipment which can accommodate high pump rates and pressures, as well as large temperature differences between stimulation and production fluids. An operator working in the Horn River Basin wanted to efficiently fracture their open hole horizontal wells in multiple stages. Because the costs of operating in the Horn River are greatly inflated compared to wells in more accessible regions, use of a time-effective, streamlined completion was essential to their return on investment. Because the operator used the Packers Plus StackFRAC® system to maximize their assets in the Bakken, Cardium and Montney, it was a natural fit for them to look to Packers Plus for an efficient completion solution for their Horn River wells. The Packers Plus QuickFRAC® system is a batch fracture technology that enables operators to increase the number of fracture stages in a single stimulation treatment. Using limited entry diversion techniques and proprietary technology, the QuickFRAC system allows fracturing of several isolated stages at one time. Through a detailed process of research and development, and by using consistent pumping rates, this system will evenly distribute the treatment in a select zone of the wellbore. The benefits achieved with this system are faster completion times and reduced fracturing fluids resulting in cost savings and less environmental impact. The operator also felt that by allowing multiple stages to be stimulated simultaneously, the horizontal stress of the formation would be increased more than if only one fracture at a time were undertaken. This increase in horizontal stress would then enhance breakdown of the rock. Additionally, as the fractures create high pressure waves against each other they would force lower pressure areas of the reservoir to attract fracture growth and create further networks outward from the fracture initiation point. A 20-stage QuickFRAC system was designed so the entire lateral could be stimulated with seven treatments. The first treatment stimulated the toe stage via a Hydraulic FracPORT™ sleeve. The six remaining treatments stimulated 3 – 4 isolated stages at a time through QuickPORT™ sleeves. The continuous operation required dropping only seven balls to stimulate all 20 stages. This decreased the amount of fluid required to displace the balls resulting in reduced proppant overdisplacement for improved near-wellbore conductivity. The 20-stage slickwater treatment was pumped continuously in only 10 hours and placed a total of 840 tonnes (1,850,000 lb) of proppant and 8,740 m3 (55,000 bbl) of fluid. This equates to approximately 42 tonnes (92,600 lb) of proppant per stage. Treating rates averaged 14.5 m3/min (90 bpm) at 54 MPa (7,800 psi). Operators working in unconventional reservoirs continue to seek time and cost reduction strategies to maximize their assets. The considerable time savings achieved using the QuickFRAC system not only achieves cost savings on the stimulation operation, but also increases productivity of frac crews in the region. Packers Plus systems have proven to be the most efficient, cost effective method to complete multi-stage horizontal wells and have been shown to provide superior production results in numerous formations worldwide.